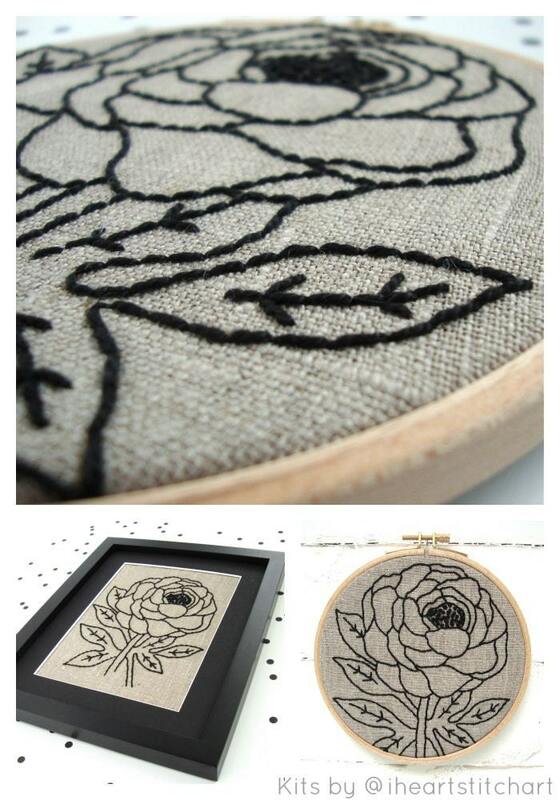 This DIY embroidery kit features a peony pattern, ready to stitch! 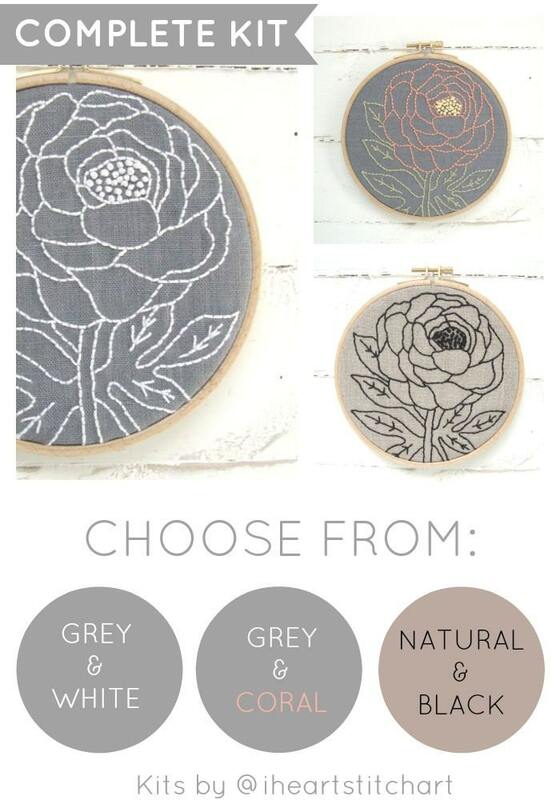 Choose from grey with white, grey with coral, or natural with black, and discover how relaxing hand embroidery can be. Easily to follow, made this non-crafty person feel crafty! I love this pattern. 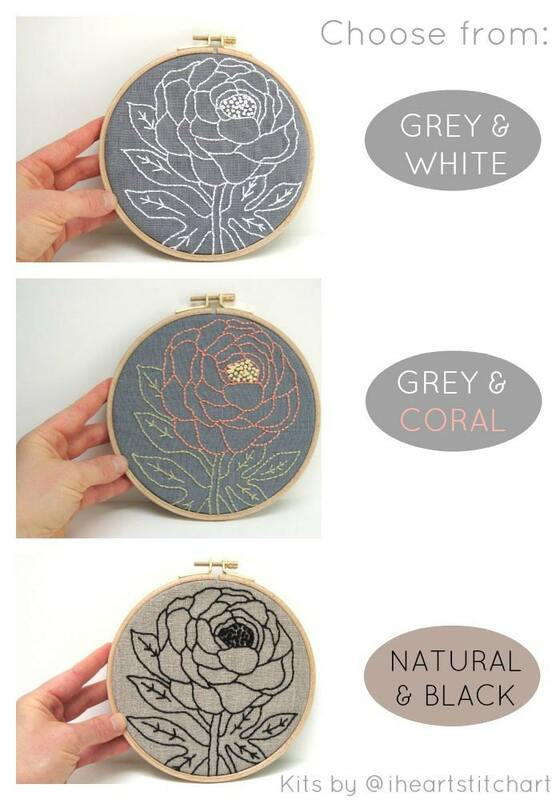 So pretty and great for beginner stitchers. 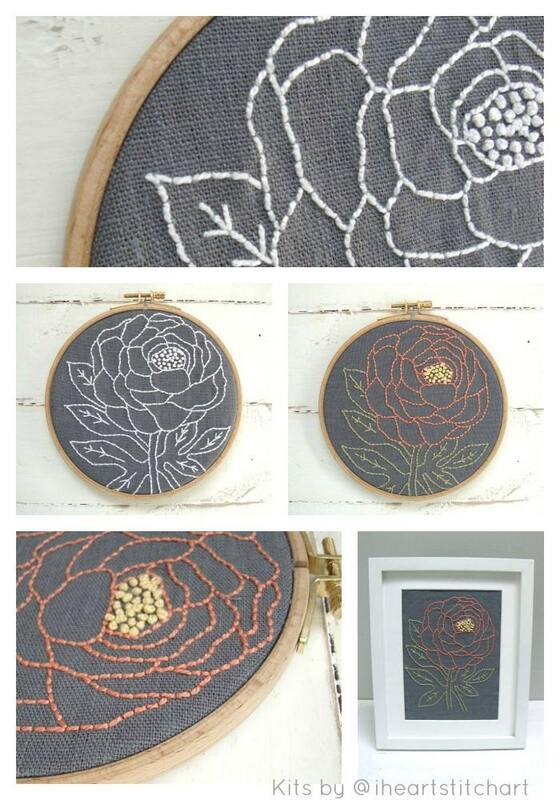 Such a great design and fun to do! 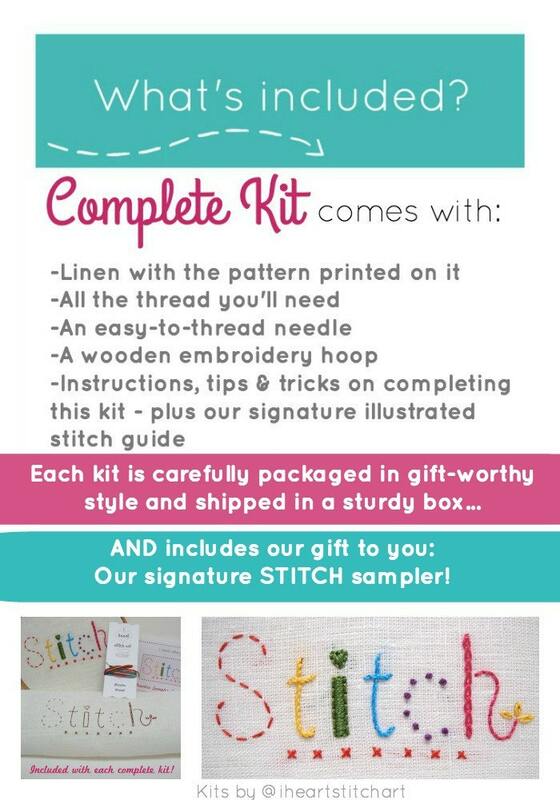 Packaged perfectly for gift giving!